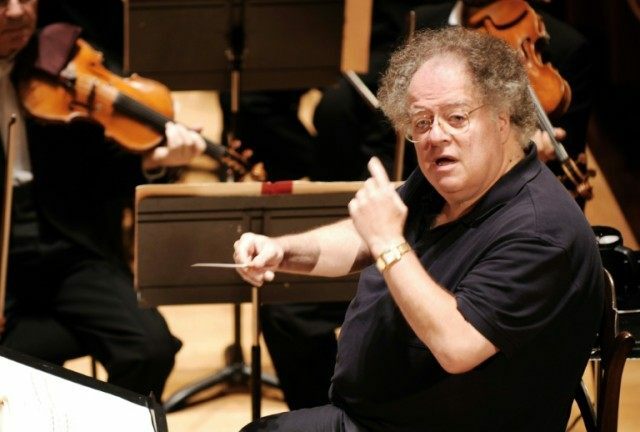 New York (AFP) – Conductor James Levine, who led the Metropolitan Opera for 40 years as its music director, will retire at the end of the current season for health reasons, the company announced Thursday. The 72-year-old Levine, who has conducted more than 2,500 performances at the Met, will serve as music director emeritus of the prestigious New York house after the 2015-16 season. Levine has struggled with illness in recent years, including Parkinson’s disease, and the Met cited health reasons as the reason for his departure, adding that it plans to announce a new musical director in the coming months. His retirement marks an end of an era at the Met. Levine has served as a link to the present from opera’s heyday years of the 1970s and 1980s when such stars as Leontyne Pryce and Joan Sutherland enjoyed global followings. In more recent years, he has played a major role in nurturing newer and up-and-coming stars such as the soprano Angela Meade and the tenor Matthew Polenzani. “There is no conductor in the history of opera who has accomplished what Jim has achieved in his epic career at the Met,” said Peter Gelb, the Met’s General Manager. Levine’s struggles with Parkinson’s disease forced him to take a two-year leave of absence in 2011, after which he conducted from a motorized wheelchair and used a podium that mechanically falls and rises. He conducted frequently in the 2014-15 season, but withdrew earlier this year from a major new production of Berg’s “Lulu” due to health reasons. Levine plans to complete planned performances in the current season. He will continue to conduct on a scaled-back basis next season, including a revival of Verdi’s “Nabucco,” also with Domingo.